Photos from Gary Thomas (bass), Tim Jago (guitar), Mark Small (sax), Mike Piolet (drums) and Angelo Versace (keyboards) performing live Dec 12 at the Miami Tower. Due to maintenance in the Sky Lobby the show was moved to the 19th floor however Gary and his band put on an exceptional show regardless. 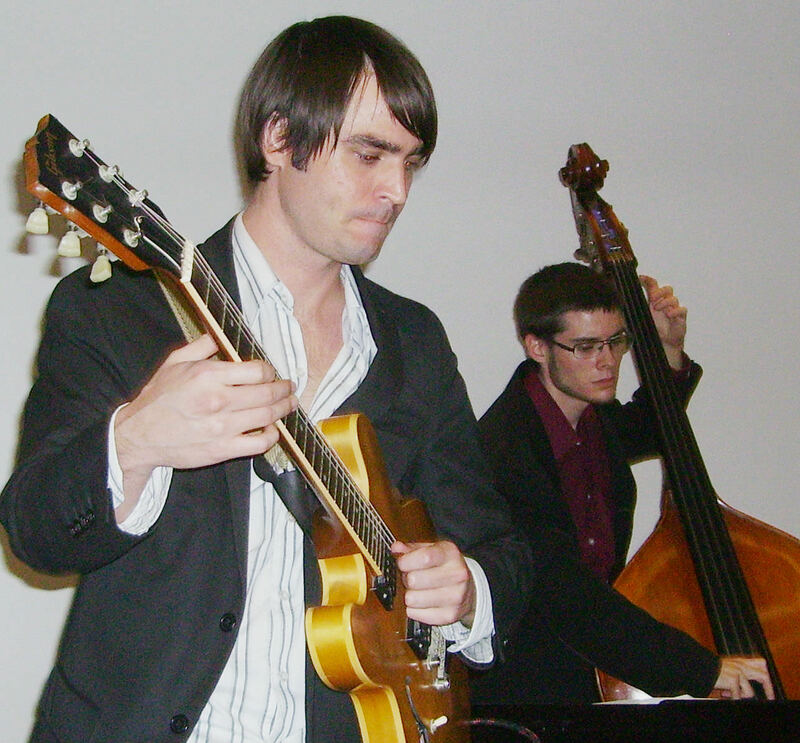 Gary Thomas is one of the rising young stars on the jazz scene as both a musician and composer. The band covered classics such as “Voyage” (Kenny Barron), “Boplicity” (Miles Davis) and Henry Mancini’s “Moon River” plus many others but perhaps held out their best for some of Gary’s own compositions such as “Sad Ending” and “Autumn in Miami on Planet Earth”. If you haven’t seen and heard Gary Thomas and his band then please do so the next time you have the opportunity, you will not be disappointed. A great time was had by all and we thank all of our friends and guests for coming out to support the Miami Jazz Society. Special thanks to Phil Cler for use of his camera.